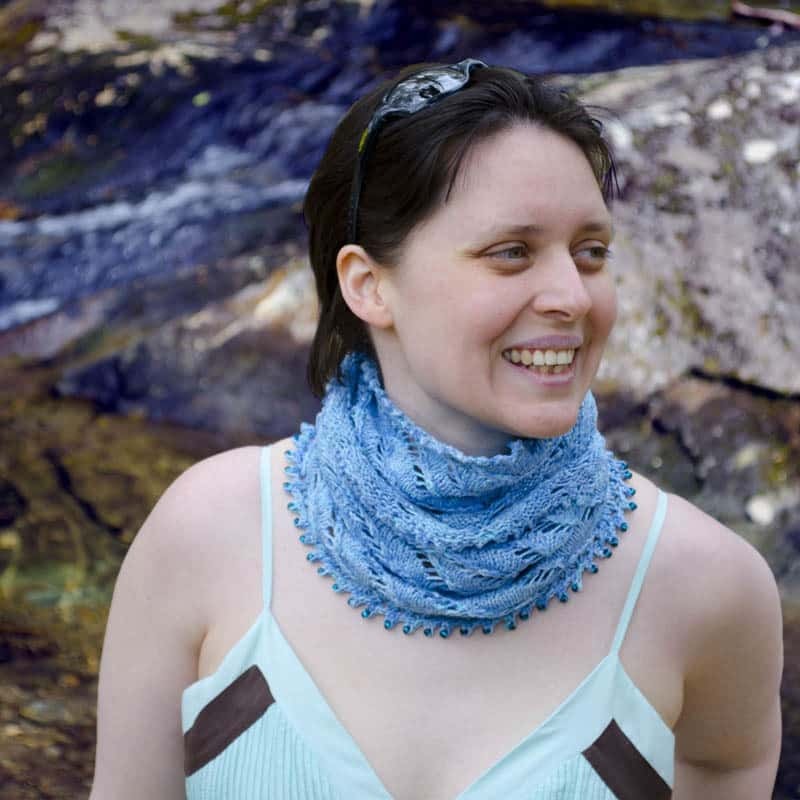 Stitch your way to your favorite Caribbean destination with this relaxing and portable design and have a breezy wave textured inspired cowl perfect for evenings out when you get there. Or for those enjoying a few spare moments of getaway in the comfort of home, enjoy your favorite tropical drink while watching “Death in Paradise” reruns to transport yourself to the warm tropical climes. 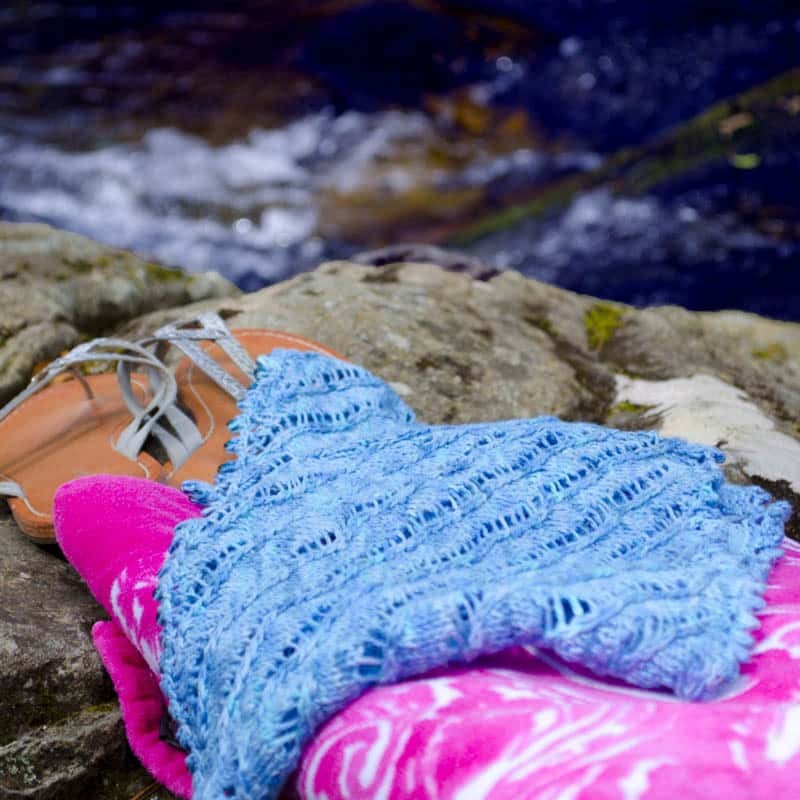 This design focuses on the health benefits of knitting – relaxation, easy pattern memorization, and eco linen yarn to de-stress and rejuvenate after a long cold winter. 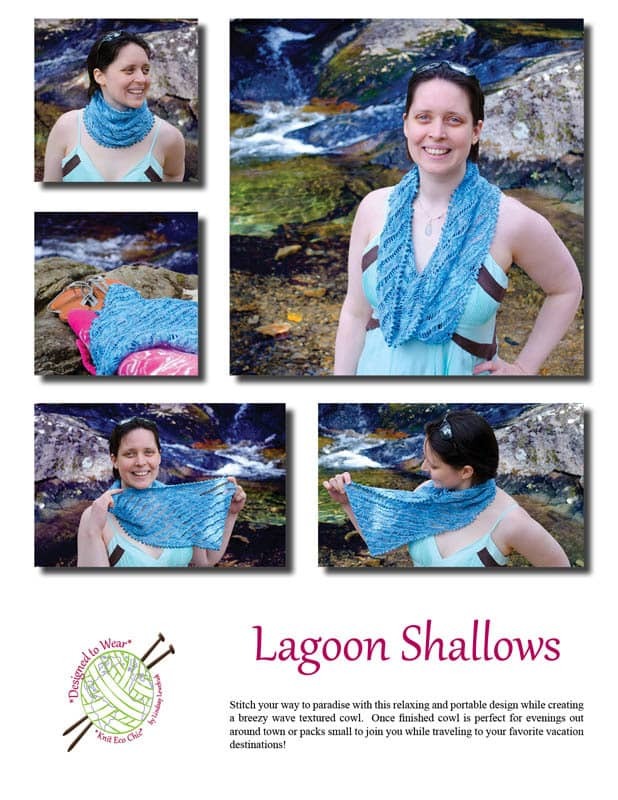 Tech edited and test knit easy level pattern is fully written with a chart repeat and 2 how-to You Tube videos. 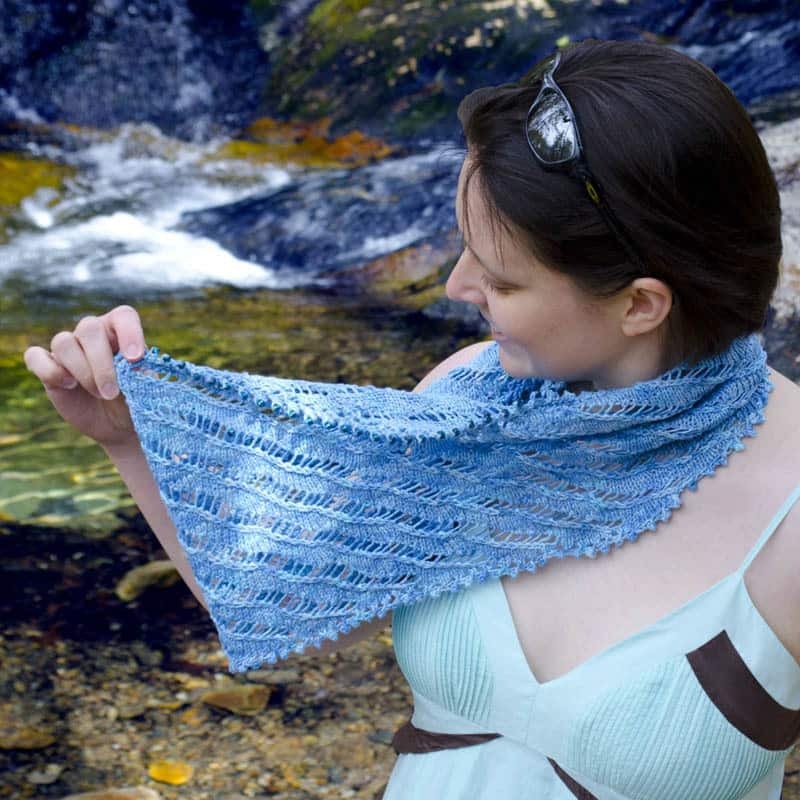 The first video demonstrates the picot cast on and bind off with optional beading. The second video demonstrates the decreases used in the pattern. 18”/ 45.5cm (36”/ 91.5cm, 39.5”/ 100.5cm) around by 9”/ 23cm tall. Optional: 45 (90, 99) Japanese Glass Seed Beads size 3/0 for beading either CO or BO. 90 (180, 198) for beading both CO and BO & steel crochet hook for beading. 20 sts and 32 rows over 4”/ 10cm in Stockinette stitch. 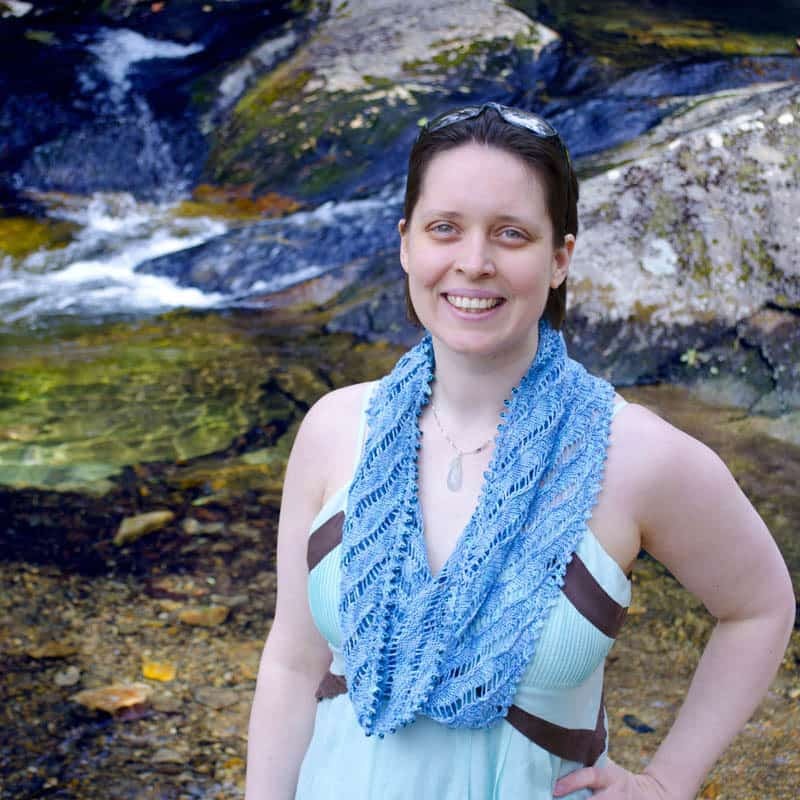 Check out the Knit Eco Chic channel on You Tube for a demonstration of the picot cast on, beaded picot bind off, and skpo/ sskpo stitches.